One of the most fuel efficient cars on the road just got better — and smarter. 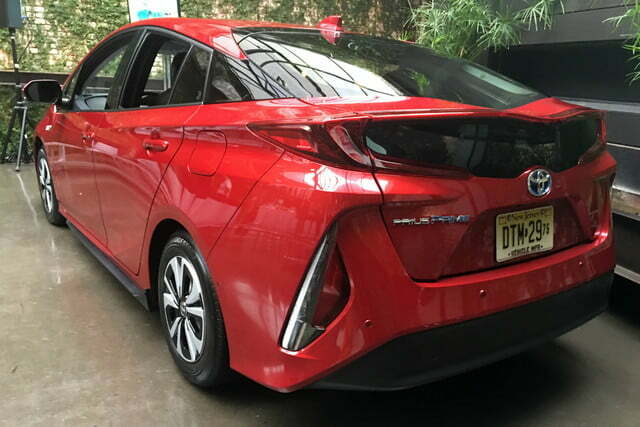 Toyota’s newest hybrid model, the 2017 Prius Prime, promises greater range and features than the standard Prius liftback. Digital Trends was on hand at the Prime’s NYC launch at the Foundry in Long Island City this week to learn more about it. 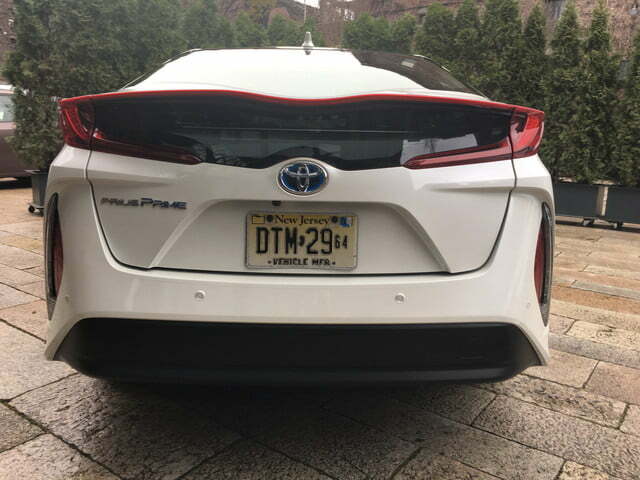 The Prime is a plug-in hybrid electric vehicle (PHEV) with an estimated range of 615 miles on the hybrid system and 25 miles in EV mode, for a total of 640 miles. This contributes to a miles per gallon gasoline equivalent (MPGe) of 133. 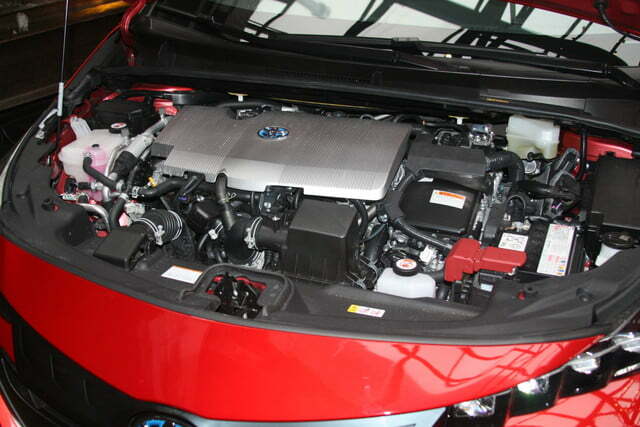 “You can go up to 84 miles per hour in EV mode,” said Toyota Product Specialist Sean Cina. He also pointed out some of the Prime’s exterior features, such as quad-beam LED headlamps and the “dual-wave rear glass design,” which lowers air resistance. 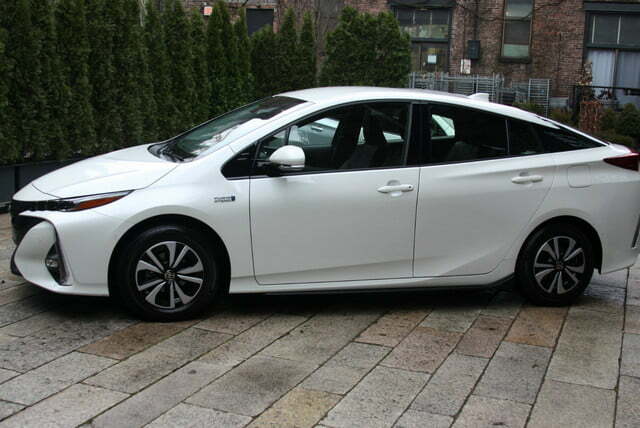 The Prime’s plug-in hybrid system uses a dual-motor drivetrain, a first for a Prius. The Prime also adds a one-way clutch that engages both the generator and electric motor for vehicle movement. Essentially, the generator is tapped as a second motor in addition to its normal regenerative and starting duties. So when you’re in EV mode, you have two electric motors turning the wheels, leading to greater range and performance. The Prius Prime’s 8.8kWh lithium-ion battery pack has more than double the capacity of the battery in the Prius Plug-in Hybrid it replaces. Otherwise, the Prime packs the same engine as all the 2017 Prius liftback models — a 1.8-liter four-cylinder that contributes to a combined net output of 121 horsepower. 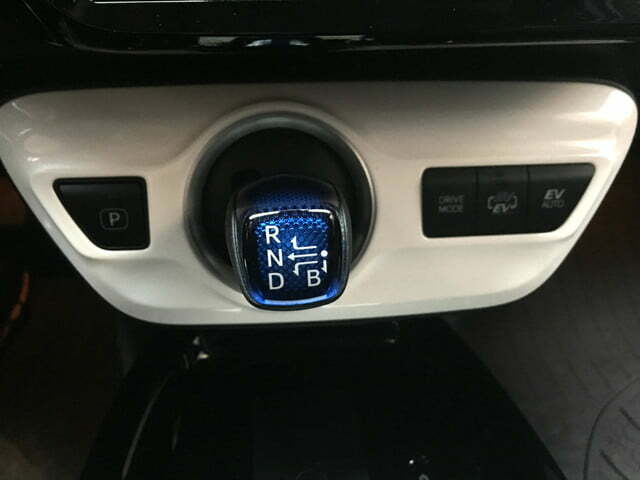 There are three drive modes — Normal, Eco, and Power — but the Prime also features HV, EV, and EV Auto modes. In HV, the Prime operates as a hybrid, drawing power from the gas engine and battery as needed, while also slowly charging the battery. Switch to EV mode for pure electric power and EV Auto mode to let the vehicle decide what is most efficient. There are two levels of charging; Level 1 (120V) takes about five and a half hours with a standard household outlet. Level 2 (240V) takes about two hours and 10 minutes and can be accessed via over 20,000 charging stations in the U.S., of which 60 percent are free to use. Toyota partnered with ChargePoint to provide access to all its stations, and the Prime comes with 100 days or $100 of free charging credit. The Prime’s intelligence extends into its charge cycles, which can be set through the Prius Prime app. For example, you can set the charge time late into the night, when your rates might be lower. Or set the battery to be fully charged by the time you head out in the morning. 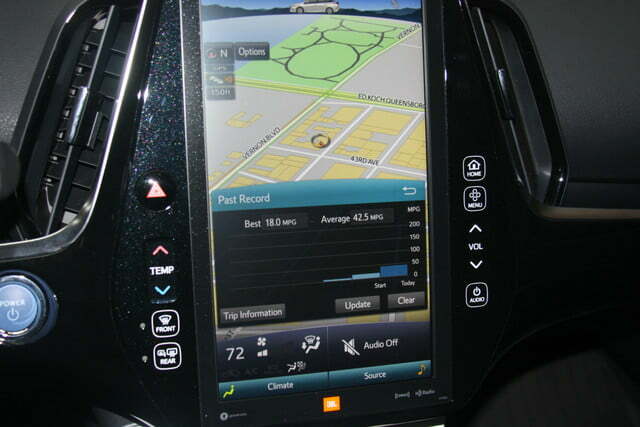 With the app, you can also check your battery’s charge, turn on the climate control and defroster, locate charging stations, and find your vehicle. The climate control system can operate without the engine running, thanks to a heat pump that allows the system to cool or heat the cabin while driving in EV mode. 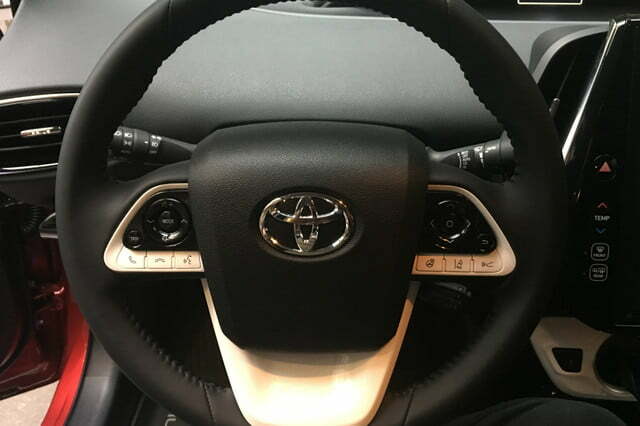 Toyota Safety Sense P (TSS-P) system is standard across Prius grades. 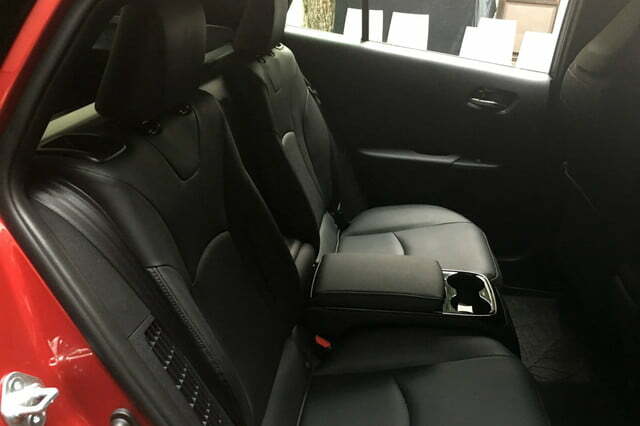 It includes the Pre-Collision System with Pedestrian Detection and Automatic Braking, Lane Departure Alert with Steering Assist, Full-Speed Dynamic Radar Cruise Control with full stop technology, and Automatic High Beams. The Prime comes in three grades — Plus, Premium, and Advanced — and there are no options available. The Plus comes with heated fabric seats, quad LED headlights, and Entune audio with integrated navigation and a 7-inch display. 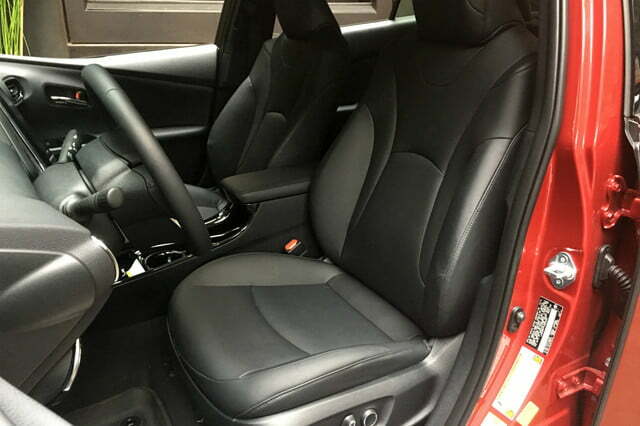 Step up to the Premium and you get an 11.6-inch HD display, synthetic leather seats, an 8-way power driver’s seat, a smart charging cable lock, and Qi wireless charging. 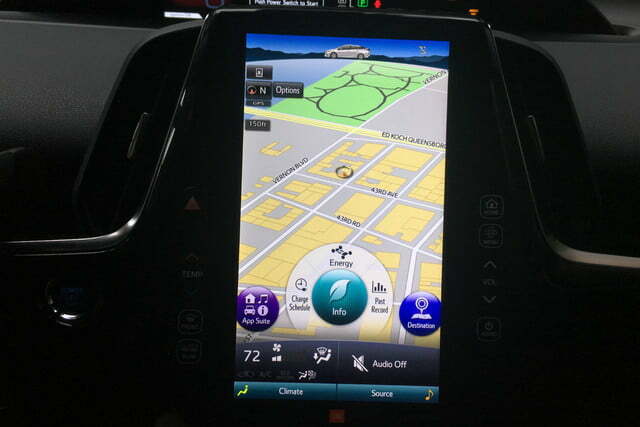 The top-tier Advanced trim adds a heated steering wheel, auto dimming mirror, LED fog lights (the only exterior feature that differentiates the Advanced from other trims), park assist, blind spot monitor, rear cross-traffic alert, and Safety Connect, which includes emergency assistance, stolen vehicle locator, roadside assistance, and automatic collision notification. 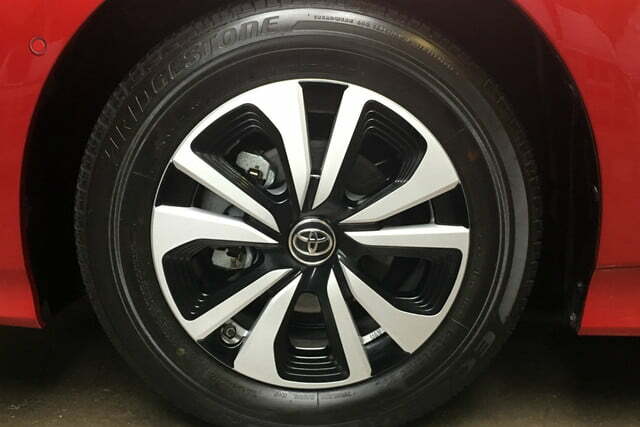 All levels of Prime come with 15-inch alloy wheels with covers. The Advanced’s heads-up display (HUD) includes includes a speedometer and shows the battery charge and the status of various systems within TSS-P. 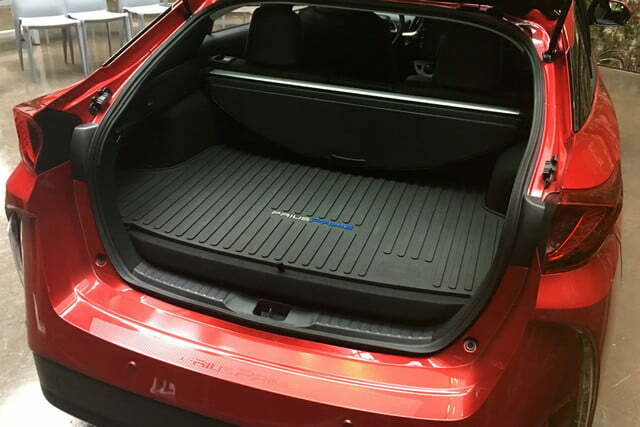 The Prime measures four inches longer than the liftback, due mostly to its exterior design. Interior passenger space remains the same. 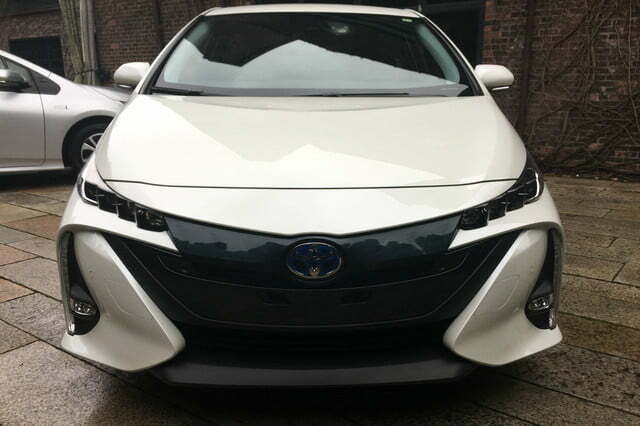 We noticed the Prime’s visual similarities to Toyota’s Mirai FCV, and Sean Cina confirmed this by telling Digital Trends that the Mirai’s designer “borrowed” some design elements. 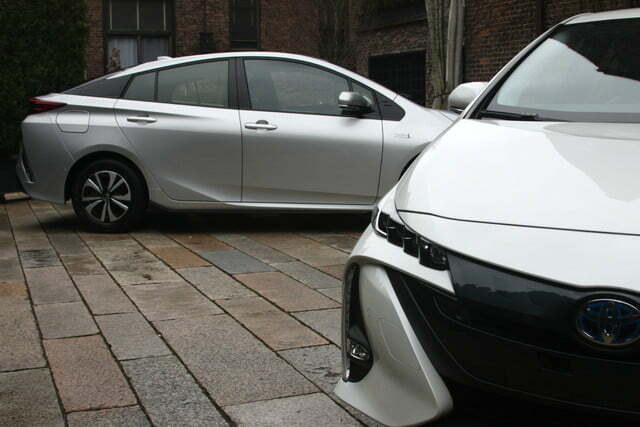 In fact, the headlights were lifted right off the Mirai. The Prime Plus carries a starting MSRP of $27,100. The Premium goes for $28,800, and the Advanced is $33,300. There is also an available $4,500 tax credit. Toyota hopes to sell 22,000 units in 2017.